Texas Tech graduated from the Sweet 16 to the Elite 8 Thursday night by routing Michigan on CBS. The 63-44 win, which wasn’t that close, ranked as D-FW’s top overall TV attraction despite stretching to 11:05 p.m. Tech-Michigan averaged 182,276 viewers while ABC’s 7 p.m. episode of Grey’s Anatomy took the runner-up spot with 168,703. Among advertiser-coveted 18-to-49-year-olds, the game tied Grey’s Anatomy for the top spot with 69,442 viewers apiece. NBC’s 8:30 p.m. premiere of the Cheers-like Abby’s performed poorly with 42,176 total viewers and 12,077 in the 18-to-49 age range. Among the Big Four broadcast networks, that ranked it last in its time slot in total viewers, and in a third-place tie with the second half of Fox’s Orville in the 18-to-49 realm. Over on Fox Sports Southwest, the Texas Rangers’ opening day averaged 63,264 total viewers, with well less than half of them (12,077) within the 18-to-49 motherlode. It didn’t help that the low-expectations Rangers were whacked 12-4 by the visiting Chicago Cubs. Let’s rewind to Wednesday’s prime-time festivities, where NBC’s 8 p.m. hour of Chicago Fire topped the charts with 231,967 total viewers while the debut of LeBron James’ competing Million Dollar Mile drew less than half that crowd with 105.440 on CBS. Fox’s Empire and Fox4’s 9 p.m. local newscast shared the 18-to-49-year-old lead with 66,422 viewers each. On Tuesday night, the golds went to CBS’ NCIS in total viewers (330,377) and NBC’s This Is Us among 18-to-49ers (81,518). Monday’s prime-time champ, Fox4’s 9 p.m. news, led in both in total viewers (246,026) and with 18-to-49-year-olds (60,384). Here are the four-way local news derby results for Monday through Thursday. Monday -- WFAA8 and CBS11 shared the 10 p.m. lead in total viewers while Fox4 won outright with 25-to-54-year-olds (main advertiser target audience for news programming). Fox4 swept the 6 a.m. and 5 p.m. competitions, and added a 6 p.m. win among 25-to-54-year-olds. NBC5 drew the most total viewers at 5 p.m.
Tuesday -- WFAA8 ran first at 10 p.m. in total viewers, but Fox4 again took the 25-to-54 cake. Fox4 ran the table at 6 a.m. and led at 5 p.m. in total viewers. WFAA8 drew the most 25-to-54-year-olds at 5 p.m. and tied Fox4 for the lead in that demographic at 6 p.m. CBS11 entered the winner’s circle with the most total viewers at 6 p.m.
Wednesday -- NBC5 enjoyed an increasingly rare win at 10 p.m. in total viewers while Fox4 again took the 25-to-54 crown. Fox4 as usual/always rolled with twin wins at 6 a.m. and also won at 5 and 6 p.m. among 25-to-54-year-olds. NBC5 ran first in total viewers at 5 p.m. and CBS11 did likewise at 6 p.m.
Thursday -- WFAA8 led in total viewers at 10 p.m., but Fox4 again took the 25-to-54 prize. Fox4 swept the 6 a.m. competitions and WFAA8 did likewise at 6 p.m. The 5 p.m. firsts went to NBC5 in total viewers and Fox4 with 25-to-54-year-olds. CBS11’s 6 and 10 p.m. newscasts were bounced out by the network’s NCAA tournament coverage. LOCAL TV NEWS NOTES: Congrats to Fox4 sports anchor Mike Doocy on his 25th anniversary with the station. In some respects, he’s still like Prince Charles waiting for his mom to pass away. In this case, WFAA8 sports anchor Dale Hansen is still the dean in this field, and with a contract that runs through 2020. But if he ever does leave the station, Doocy is the next in line for dean-dom. Congrats also to veteran CBS11 reporter Steve Pickett, who now is also the station’s official Sunday evening/night news anchor. He has been with CBS11 since 1996, and also remains one of the D-FW market’s most capable street reporters. He’ll continue to report four days a week. 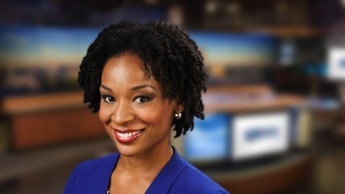 CBS11 also has upgraded Erin Jones from a freelance to full-time reporter. Duke’s one-and-done collection of bluebloods again prevailed, but not without a super-major scare Sunday from upstart UCF. The 77-76 thriller, which ended with a UCF last-second shot laying on the rim before rolling off, gave CBS its highest-rated game of the NCAA hoops tournament among D-FW viewers. It averaged 196,820 viewers, with a peak audience of 267,113 for the closing minutes plus post-game analysis. In the advertiser-coveted 18-to-49-year-old age range, Duke-UCF averaged 81,518 viewers, with a peak crowd of 96,614. That gave CBS a pair of Sunday night highs in this key demographic. In comparison, ABC’s two-hour 7 to 9 p.m. edition of American Idol drew just 27,173 viewers in the 18-to-49 realm. The tournament didn’t fare quite as well on Thursday and Friday nights. Friday’s overall top prime-time performer, Fox’s 7 p.m. episode of Last Man Standing, had 189,791 total viewers. But the 7 to 8 p.m. portion of CBS’ Duke-North Dakota State matchup was tops among 18-to-49ers with 51,326. On Thursday, Fox4’s 9 p.m. local newscast led all prime-time programming in both total viewers (175,733) and 18-to-49-year-olds (54,346). The tournament games on TBS, TNT and truTV for the most part were no match for those on CBS, whether airing during the day or night. Here are the Thursday and Friday local news derby results, with CBS11’s 6 and 10 p.m. editions rubbed out on both days by tournament coverage. Thursday -- WFAA8 swept the downsized fields at 10 p.m. and 6 p.m. in total viewers and with 25-to-54-year-olds (main advertiser target audience for news programming). Fox4 ran the table at 6 a.m. while also winning at 5 p.m. among 25-to-54-year-olds. Fox4 and NBC5 shared the 5 p.m. lead in total viewers. Friday -- WFAA8 again led in total viewers at 10 p.m., but Fox4 won with 25-to-54-year-olds. Fox4 also had twin wins at 6 a.m. and 5 p.m. while WFAA8 repeated its 6 p.m. sweep. After a nearly five-year stay with Raleigh, N.C.’s WRAL-TV, Candace Sweat is joining Fort Worth-based NBC5 as a general assignment reporter. She announced her move on Twitter and NBC5 vice president of programming Brian Hocker confirmed that Sweat’s first day at the station will be April 8th. Before joining WRAL in August, 2014, Sweat worked at WBMA/WCFT-TV in Birmingham, Ala. 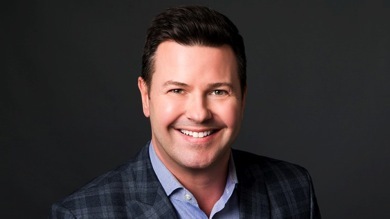 There will be no long goodbye for Ron Corning, now the former co-anchor of WFAA8’s early morning Daybreak program. That time turned out to be Friday, March 15th, and without any on-air acknowledgements. His bio since has been taken off WFAA8’s website, a surefire sign of an employee’s exit. Corning later confirmed to a Twitter follower named Michelle that “Last Friday I wrapped up my time at Daybreak. But I will announce my next move right here soon.” He added a smiley face emoji. The handling of Corning’s departure was in stark contrast to the March 1st retirement of longtime WFAA8 anchor John McCaa, who received a lengthy sendoff from the station while his successor, Chris Lawrence, was heavily promoted as his successor. WFAA8 reporter/anchor Marie Saveedra, who joined the station in July 2013, has been co-anchoring this week with Daybreak’s incumbent Kara Sewell. In her memo to station staffers, Mungo said that Corning’s position would be posted shortly. But this doesn’t necessarily mean that WFAA8 will go “out of house” or even name a male anchor to succeed Corning. NBC5 has been going with two women anchors on its early morning program after Marc Fein was dropped in the middle of the February “sweeps” ratings period. Fox4’s Good Day continues to dominate the early morning ratings, particularly in the key 6 a.m. hour, as no station ever has. Its weekday winning streak in both total viewers and with 25-to-54-year-olds is nearing a year in length. Fox4 hasn’t been beaten in either ratings measurement since March 30th of last year, which was Good Friday. Absent Corning for Monday’s March 18th edition of Daybreak, second place WFAA8 took an unusually severe beating from Fox4 in the 25-to-54-year-old demographic. In the 6 a.m. hour, Fox4 drew 98,791 viewers in the 25-to-54 age range while WFAA8 had 38,085. NBC’s latest two-hour dose of The Voice as usual led all Monday prime-timers in total D-FW viewers while 9-1-1- helped resuscitate Fox with its midseason return. The Voice drew 246,026 viewers in pounding ABC’s competing two hours of American Idol (154,645). 9-1-1 pulled in 210,879 viewers in the 8 p.m. hour, tying Fox4’s following 9 p.m. local newscast for the runner-up spot in this measurement. Among advertiser-coveted 18-to-49-year-olds, The Voice also ranked No. 1 with 60,384 viewers, just a smidge ahead of 9-1-1 (58,874). Fox4’s news then took the 9 p.m. hour with 55,855 viewers in this key demographic. ABC’s 9 p.m. premiere of The Fix, created by former O.J. Simpson prosecutor Marcia Clark, had 126,527 total viewers, with 34,419 in the 18-to-49 realm. That ranked it last in its time slot among total viewers in the Big Four broadcast network universe and third with 18-to-49ers, ahead of CBS’ competing Bull. NBC5 and WFAA8 tied for the most total viewers at 10 p.m. while Fox4 won with 25-to-54-year-olds (main advertiser target audience for news programming). Fox4 swept the 6 a.m. and 5 p.m. competitions. WFAA8 had the most total viewers at 6 p.m., with Fox4 again tops among 25-to-54-year-olds. Dallas-based Fox4 has added Macy Jenkins to its reporting staff. She’ll join the station’s Fort Worth bureau on April 1st. No joke. 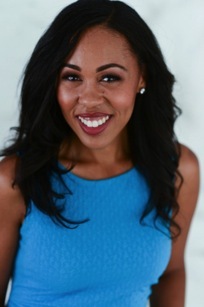 Arriving from Sacramento, CA’s KOVR-TV, where she spent three years, Jenkins also has worked for TV stations in Little Rock, AK and Washington, D.C. Before switching to journalism, she was a guest relations and vacation planner at Disney World in Orlando, FL. Jenkins has a Master of Science degree from Syracuse University and a Bachelor’s degree from George Washington University. Fox’s Empire and its embattled co-star, Jussie Smollett, made their mid-season returns Wednesday at audience levels far below the show’s glory seasons. Airing in the 7 p.m. hour, Empire drew 126,527 D-FW viewers, decisively losing its time slot to CBS’ Survivor (196,820 viewers). Empire fared better among advertiser-coveted 18-to-49-year-olds, winning at 7 p.m. with a less than imposing 54,346 viewers. That was good enough to share the overall 18-to-49 crown with ABC’s Modern Family and Fox’s Star. Smollett, who has pled not guilty to charges that he faked a hate crime in Chicago, will not appear in Empire’s closing two episodes this season. Fox4’s 9 p.m. local newscast drew bigger overall crowds than either Empire or Star, pulling in 196,820 total viewers. The newscast also won the 9 p.m. hour among 18-to-49ers, but fell short of Fox’s two lead-in dramas in that key demographic. CBS11 led in total viewers at 10 p.m. while Fox4 was tops with 25-to-54-year-olds (main advertiser target audience for news programming). Fox4 also swept the 6 a.m. and 5 p.m. competitions, and WFAA8 did likewise at 6 p.m.
CBS’ NCIS as usual led all prime-time players in total D-FW viewers Tuesday. But with incoming storms as a hook, Fox4’s 9 p.m. newscast both won its time slot and drew the most advertiser-prized 18-to-49-year-olds. NCS amassed 309,289 total viewers before CBS’ FBI held onto enough of them (274,143) to win the 8 p.m. hour opposite formidable competition from NBC’s This Is Us and ABC’s second hour of drivel from the latest season finale of The Bachelor. They both drew 196,820 viewers. Fox4’s news then took the 9 p.m. hour in both ratings measurements, with 260,084 total viewers and a Tuesday night high of 78,762 in the 18-to-49-year-old age range. Monday’s top prime-time scorers were NBC’s 7 to 9 p.m. edition of The Voice in total viewers (267,113) and ABC’s competing The Bachelor in the 18-to-49 realm with 81,518. Sunday’s prime-time tote board put CBS’ 60 Minutes atop the total viewers heap (196,820) while Fox’s The Simpsons and Fox4’s 9 p.m. news tied for the top spot with 18-to-49ers (48,307 each). CBS’ two-hour tribute to the late Aretha Franklin, which aired from 8 to 10 p.m., averaged 105,440 total viewers and 36,230 in the 18-to-49 motherlode. On Friday night, CBS’ Blue Bloods ranked No. 1 in total viewers (238,996) and the network’s 7 p.m. Gayle King interview with R. Kelly won the 18-to-49 crown (36,230). OK, let’s wind this up as usual with the weekday local news derby results. Friday -- CBS11 won in total viewers at 10 p.m. while Fox4 finished first with 25-to-54-year-olds (main advertiser target audience for news programming). Fox4 swept the 6 a.m. competitions and WFAA8 did likewise at 6 p.m. The 5 p.m. golds went to NBC5 in total viewers and WFAA8 with 25-to-54-year-olds. Monday -- Hey now, Fox4 achieved a very rare double grand slam if the 10 p.m. results in total viewers are extended to an extra decimal point rather than rounding them off per usual. In that case, the tiebreaker goes to Fox4 by a score of 153,942 total viewers to WFAA8’s 153,239. Fox4 otherwise swept the 6 a.m. and 5 and 6 p.m. competitions in clear-cut fashion. Tuesday -- Fox4 ran the table at both 10 p.m. and 6 a.m.
CBS11 had the most total viewers at 6 p.m., with WFAA8 leading among 25-to-54-year-olds. The 5 p.m. spoils went to NBC5 in total viewers and Fox4 with 25-to-54-year-olds. Dallas-based WFAA8 is losing a prime-time player, even though his primary post for the past eight years has been the early morning shift. Daybreak mainstay Ron Corning has decided to leave the station, with his next destination still very much up in the air. His last day at WFAA8 is yet to be determined, but “we’ll be posting a morning anchor position shortly,” executive news director Carolyn Mungo said in a Monday morning memo to staffers obtained by unclebarky.com. Corning, in a subsequent telephone interview, said that WFAA8 had offered him a new contract after he auditioned among other in-house and outside candidates for a 10 p.m. co-anchor position that eventually went to Chris Lawrence, who was announced in November as John McCaa’s successor. But during that time, Corning said he connected with an agent team that presented him with a range of other career possibilities outside of WFAA8. Corning joined WFAA8 in April 2011, replacing Chris Flanagan as Daybreak’s co-anchor opposite incumbent Cynthia Izaguirre, who’s now co-anchoring the station’s 10 p.m. newscasts. A year later, after a heavy promotional campaign touting Corning’s arrival, Daybreak was the only early morning program to show year-to-year audience gains in the May 2012 ratings “sweeps.” Among 25-to-54-year-olds (main advertiser target audience for news programming), WFAA8 and NBC5 tied for second place, with Fox4’s Good Day barely holding onto the top spot after losing 23,316 viewers from the previous May while WFAA8 gained 10,126. But in the February 2019 sweeps, Fox4 ranked a dominant No. 1 in both the total viewers and 25-to-54-year-old measurements. Among 25-to-54-year-olds, the station drew more than twice as many viewers as the runner-up Daybreak. The only upside for WFAA8 was a slight increase in viewers from February 2017 while NBC5 crashed and burned in this key demographic to finish third. In recent months, Daybreak has become much more of an ensemble act than its early morning competitors. In addition to Corning and co-anchor Kara Sewell, the show has a meteorologist, traffic anchor, social media anchor and health/fitness anchor. All are prominently featured, which means appreciably less air time for Corning than when he first arrived at WFAA8. Meanwhile, Fox4’s front-running Good Day, which remarkably hasn’t lost a single weekday in the 6 a.m. hour since March 30th of last year, rolls along with a show that virtually reeks of stability. Led by venerable co-anchor Tim Ryan, the show’s core foursome has been together longer than Corning’s tenure at WFAA8. The kid amongst them, co-anchor Lauren Przybyl, joined Good Day in the summer of 2009. In a nutshell, it’s increasingly a case of clutter at Daybreak versus continuity at Good Day. Corning’s departure will leave veteran meteorologist Greg Fields as the longest standing member of the Daybreak team. The four younger women sharing the show with them have all been with Daybreak for less than two years. Sports reporter/anchor Edward Egros, who joined D-FW’s Fox4 in August 2013, will be leaving the station at the end of this month, several sources confirm to unclebarky.com. Egros, a graduate of Southern Methodist University, declined to comment Sunday on either his departure or his future plans. He arrived at Fox4 from WHNT-TV in Huntsville, Alabama after a three-year stay at that station. 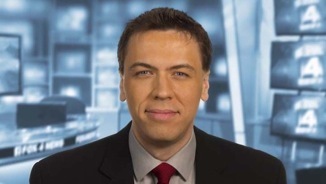 Egros has anchored weekend sportscasts for Fox4 while reporting on weekdays. He also is the webmaster for insidesportsanalytics.com, which is unaffiliated with Fox4. After graduating from SMU, Egros earned a master’s degree in predictive analytics from Northwestern University. In January, he began teaching Advanced Sports Communication in SMU’s Sports Management graduate program. 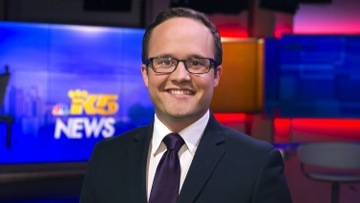 Egros also previously has worked for TV stations in El Paso and Paducah, KY after interning with Fort Worth-based NBC5’s sports department from January to May 2006. MaryAnn Martinez is no longer with CBS11’s reporting staff. Her last day on the air with the D-FW station was Friday, March 8th, CBS11 communications director Lori Conrad confirmed Sunday. Martinez’s bio also has been removed from the station’s website. 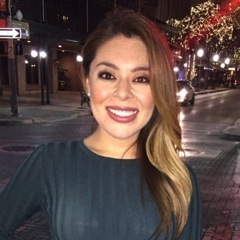 Martinez, a Baylor University graduate, joined CBS11 on May 15, 2017 after freelancing for KTTV-TV in Los Angeles for a little under two months. Before that, she worked for just over two years at San Antonio’s KENS-TV. Martinez earlier reported for stations in El Paso, Miami, Las Vegas and San Diego. Paced as usual by The Big Bang Theory, CBS led the way in prime-time total viewers Thursday. Not as usual, the network also won from start to stop among advertiser-prized 18-to-49-year-olds. Big Bang ranked as the overall top draw with 358,494 total D-FW viewers, followed by its spinoff, Young Sheldon, with 323,348. CBS’ Mom and Fam also won their time slots before Fox4’s 9 p.m. local newscast edged CBS’ S.W.A.T. by a score of 175,733 viewers to 168,703. But CBS swept the 18-to-49-year-old Nielsens, even beating ABC’s still potent Grey’s Anatomy in the 7 p.m. hour. NBC’s four sitcoms, plus a 9 p.m. repeat of Law & Order: Special Victims Unit, struggled for visibility. L&O lured a minuscule 2,415 viewers in the 18-to-49-year-old range compared to 49,817 for S.W.A.T., which won the 9 p.m. slot. On Wednesday night, ABC’s American Idol rebounded from a lackluster Sunday night showing to draw the most total viewers with 231,967. ABC’s new Whiskey Cavalier then performed decently at 9 p.m., pulling in 161,674 total viewers in running second to Fox4’s newscast (189,791). Idol also was prime-time’s top draw among 18-to-49ers with 57,365. NBC rolled in Tuesday’s prime-time festivities, ranking first from 7 to 10 p.m. in total viewers with The Voice, This Is Us (No. 1 overall for the night with 274,143) and New Amsterdam. This Is Us also led the 18-to-49 parade with 72,461 viewers in this key demographic. Monday’s top prime-time performers were The Voice in total viewers (246,026) and ABC’s The Bachelor with 18-to-49-year-olds (63,403). OK, here are the local news derby results. Monday -- On its first weeknight in the post-John McCaa era, WFAA8 got off to a strong start at 10 p.m. with wins in both total viewers and with 25-to-54-year-olds. (main advertiser target audience for news programming). Chris Lawrence is McCaa’s successor, and WFAA8 for once got a solid 9 p.m. lead-in from ABC, courtesy of The Good Doctor. WFAA8 also swept the 6 p.m. proceedings, as did Fox4 at 6 a.m. The 5 p.m. firsts went to NBC5 in total viewers and Fox4 among 25-to-54-year-olds. Tuesday -- CBS11 won at 10 p.m. in total viewers while Fox4 took the 25-to-54 crown. Fox4 as usual/always ran the table at 6 a.m. and WFAA8 stayed strong at 6 p.m. with twin wins. NBC5 again drew the most total viewers at 5 p.m. and shared the 25-to-54 lead with WFAA8. Wednesday -- CBS11 swept the 10 p.m. races while Fox4 had doubleheader wins at both 6 a.m. and 5 p.m. The 6 p.m. total viewers wreath was shared by NBC5 and WFAA8, with Fox4 alone on top with 25-to-54-year-olds. Thursday -- CBS11 made it three days in a row by again winning at 10 p.m. in total viewers. But Fox4 had the most 25-to-54-year-olds while also muscling up with sweeps at 6 a.m. and 5 p.m. NBC5 won in total viewers at 6 p.m., with Fox4 on top with 25-to-54-year-olds. After just a two-year stay, reporter Lexie Houghtaling has left Fort Worth-based NBC5. Houghtaling exited the station this week after what she described as an “awesome” tenure on her Facebook page. The Houston native joined NBC5 on March 27, 2017 as a multimedia journalist and fill-in traffic anchor. She arrived from KBAK/KFBX-TV in Bakersfield, CA. NBC5 management officially does not confirm personnel departures or comment on them. But the station already has removed Houghtaling’s bio from its website. American Idol returned for its second season on ABC Sunday night with a two-hour edition that ended up more than a little off-key in the D-FW ratings. Airing from 7 to 9 p.m., Idol drew 182,762 total viewers, which matched the crowd for ABC’s preceding America’s Funniest Videos. Idol was nipped in its first hour by CBS’ competing God Friended Me (196,820 viewers) before CBS’ NCIS: Los Angeles beat it by a wider margin from 8 to 9 p.m. with 224,938 viewers. Sunday night’s two biggest overall draws, CBS’ 60 Minutes and Fox4’s 9 p.m. local newscast, averaged 253,055 viewers apiece. Among advertiser-prized 18-to-49-year-olds, Idol drooped to 33,211 viewers, fewer than America’s Funniest Videos (39,250). From 7 to 9 p.m., Fox’s The Simpsons (54,3465), Family Guy (51,326) and a second 8;30 p.m. episode of FG (45,288) all outpointed Idol, as did NCIS:LA (39,250) and NBC’s 8 to 9 p.m. portion of World of Dance (33,589). Friday’s prime-time pacesetters were ABC’s Last Man Standing in total viewers (175,733) and the network’s 20/20 among 18-to-49ers (28,079). CBS’ 9 p.m. repeat of Blue Bloods registered “hashmarks” (no measurable audience) in the 18-to-49 realm. WFAA8 anchor John McCaa’s 10 p.m. sendoff after a 35-year career at the station took the top spot among all Friday programing in both total viewers (246,026) and with 25-to-54-year-olds (68,724). The latter measurement is the main advertiser target audience for news programming. WFAA8 didn’t win the just-concluded February “sweeps” ratings in either measurement at 10 p.m. But it otherwise was a nice way for McCaa to bow out. Fox4 notched two more wins at 6 a.m. and also drew the most 25-to-54-year-olds at 5 and 6 p.m. WFAA8 had the most total viewers at those two evening hours. Let’s first backtrack to Wednesday, the last night of the February “sweeps,” where Fox’s The Masked Singer season finale crushed everything in its path. Midseason’s surprise smash hit bowed out until next season with an extended two-hour edition that easily led all TV attractions with 351,465 D-FW viewers for the first half and 446,905 for the revealing second hour. Rapper T-Pain won the thing, with Donny Osmond the runner-up and Gladys Knight placing third. So there. Fox4’s 9 p.m. local newscast then lapped up the gravy, winning its time slot with 217,908 viewers. Masked Singer and Fox4’s news also swept the night with advertiser-coveted 18-to-49-year-olds. ABC’s 9 p.m. debut of the spy dramedy Whiskey Cavalier ran third among the Big Four broadcast networks with 105,440 total viewers. It climbed a notch to second place among 18-to-49ers. CBS’ two-hour, 8 to 10 p.m. edition of its new World’s Best “reality-competition” series ran an overall fourth in total viewers, outdrawing only ABC’s 7:30 p.m. episode of Single Parents. Among 18-to-49-year-olds, World’s Best was last from 8 to 9 p.m. before tying NBC’s Chicago PD for the third spot in the 9 p.m. hour. Thursday’s prime-time proceedings were led by CBS’ Big Bang Theory repeat in total viewers (196,820) and ABC’s everlasting Grey’s Anatomy in the 18-to-49 realm (63,403). Wednesday -- NBC5 won in total viewers at 10 p.m. while Fox4 was tops with 25-to-54-year-olds (main advertiser target audience for news programming). Fox4 otherwise went on a roll, sweeping the 6 a.m. and 5 p.m. competitions and also winning at 6 p.m. with 25-to-54-year-olds. NBC5 had the most total viewers at 6 p.m.
Thursday -- On the first day after the February sweeps, CBS11 won comfortably at 10 p.m. in total viewers, but WFAA8 ran first among 25-to-54-year-olds in a tight three-way fight with CBS11 and Fox4. Fox4 ran the table at 6 a.m. and NBC5 did likewise at 5 p.m. The 6 p.m. spoils went to WFAA8 in total viewers and Fox4 with 25-to-54-year-olds.